I admit it. All day yesterday, I couldn’t help but think that I should be on my way to Portland, Oregon for the 2012 Wine Bloggers’ Conference. I mentioned a couple of weeks ago that I wouldn’t be attending, and while I know it’s for a good reason, as I start to see the #wbc12 tweets roll in, I’m sad that I won’t be joining my fellow bloggers this year. My mood probably explains why, when I walked in the door of the condo last night and saw I had a wine package with some bubbly, I immediately put in the refrigerator so it would be cold enough to enjoy by dinnertime. And enjoy it I did. 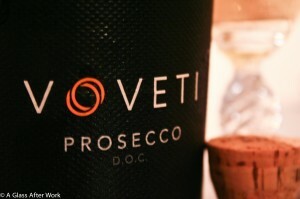 The Voveti Prosecco (wine) is from Italy and is made with 100% Prosecco grapes. The sparkler had a light lemon color. On the nose, there were Granny Smith apples, Asian pears, and the slightest hint of honeysuckle and yeast. In the mouth, there were Granny Smith apples, Asian pears, and a hint of peaches and foamy cream. The wine had a light body and bright acidity. Is this worth a glass after work? Definitely! If you see this wine in the store, grab it; you won’t be disappointed. 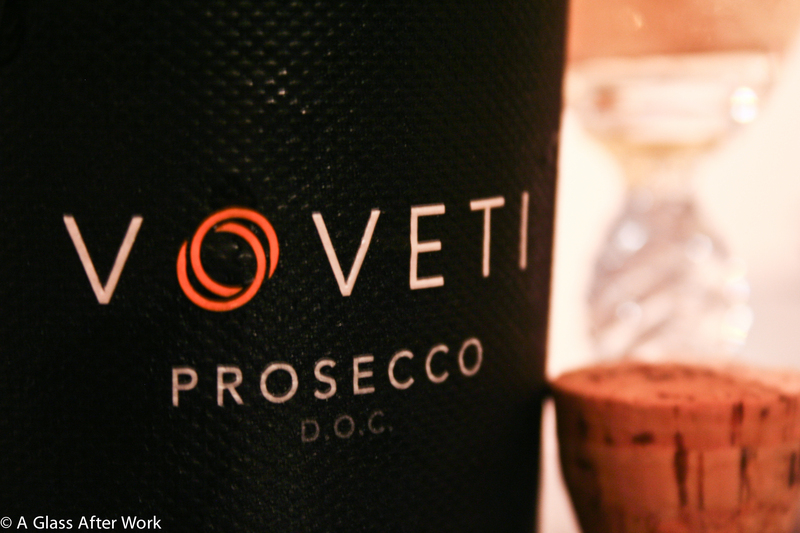 At an SRP of $17, that about pushes the edges of how much I would spend on this sparkling wine, although it was very versatile and enjoyable. I sipped it while reading with my feet on the couch before dinner, and it even paired nicely with the broiled tilapia Hubby made. The fish was lightly seasoned with lemon juice, salt, pepper, garlic, and oregano, so it’s probably not surprising that the Italian sparkler was a nice, not overpowering compliment to the meal. All in all, it didn’t quite make up for the fact that I was at home instead of in Oregon, but it was exactly what I needed to make me not miss the Wine Bloggers’ Conference quite so much. Question of the Day: Do you open a sparkling wine in the middle of the week or is it the type of wine you save for special occasions?